In 1887, the separate townspeople voted to merge, making for a single Springfield. And Holcombe prophesied aright: if asked, few Springfieldians today could “point out the line of demarcation”—though aptly named Division Street—mainly because the story has been as good as forgotten. And now for the moral of this story. Whether as a town or as a text, “Moon City” has always been an improvisation. 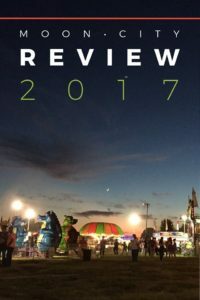 It was, and it remains, a convenient fiction—an invention of entrepreneurs, a flight of fancy, a slap in the face of “old town” expectations, an upstart, Ozarks-style declaration. 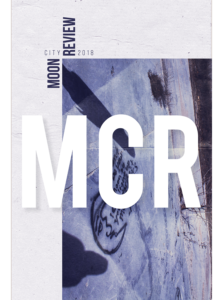 In its status as a literary-artistic annual (and as an academic small press of the same name), Moon City remains a mythic place, forever a “new town.” Like the first railroad, it citifies an early pioneer settlement, bringing in fresh blood. Moon City remains a “place” (a press, a book annual) where Ozarks history and literary-artistic culture can be both remembered and reconstructed, engaging back-and-forth with the rest (and best) of the world “out there,” bringing newcomers in, sending our own out and abroad, all interconnected—incorporated, as it were—through mutual interests in poetry, story, art, and criticism. The communities described in the beginning of this introduction find confirmation, if only symbolically so, in this conscious act of naming. 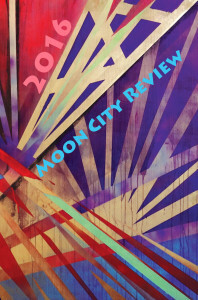 Moon City Review 2019 is now open for submissions of fiction, poetry, creative nonfiction, graphic narrative, translations, and book reviews. 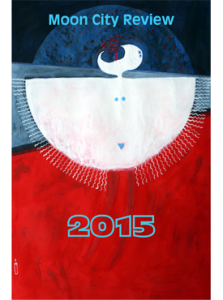 Please select the Submit tab to read more about how to submit.